One yard. Two plays. One long offseason. It’s a memory that drives UNLV as it opens football training camp Friday morning at Rebel Park under coach Tony Sanchez. 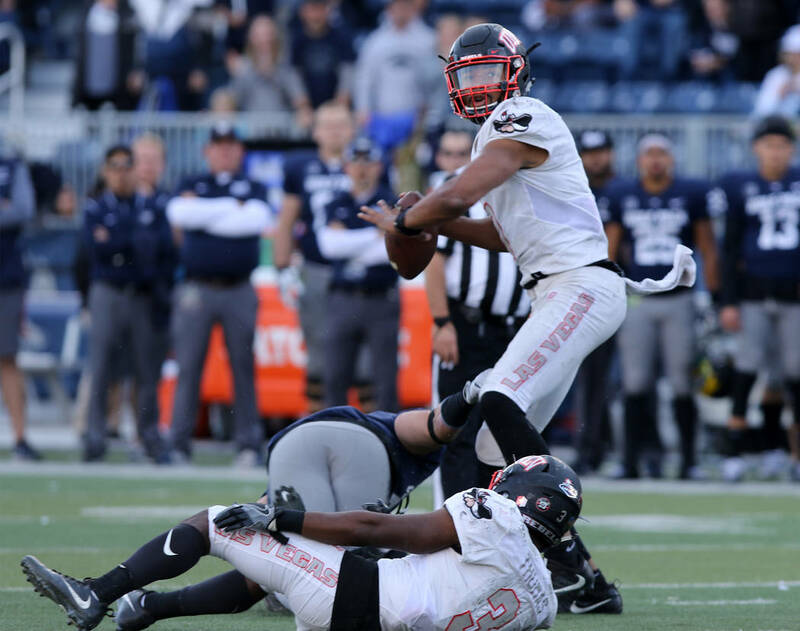 That was what UNLV needed to assume control over UNR and take a major step toward a bowl. 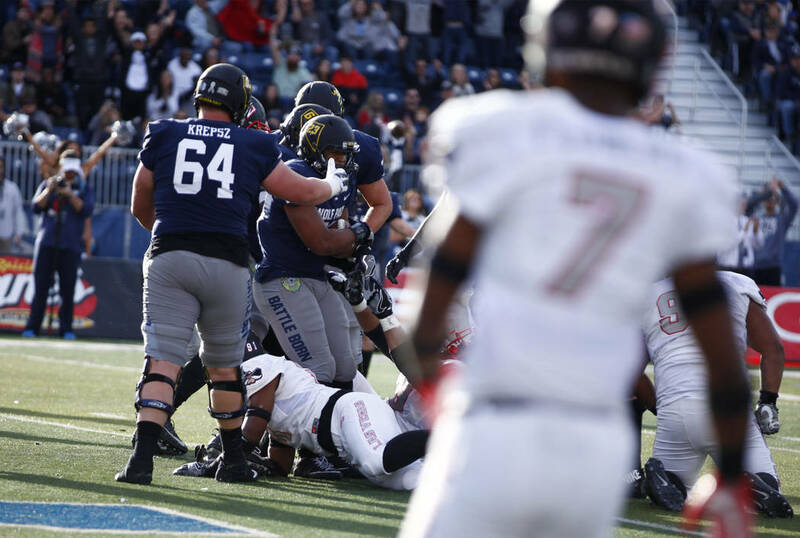 But the Wolf Pack stuffed quarterback Armani Rogers on third down and running back Lexington Thomas on fourth late in the third quarter with the Rebels leading 16-9. 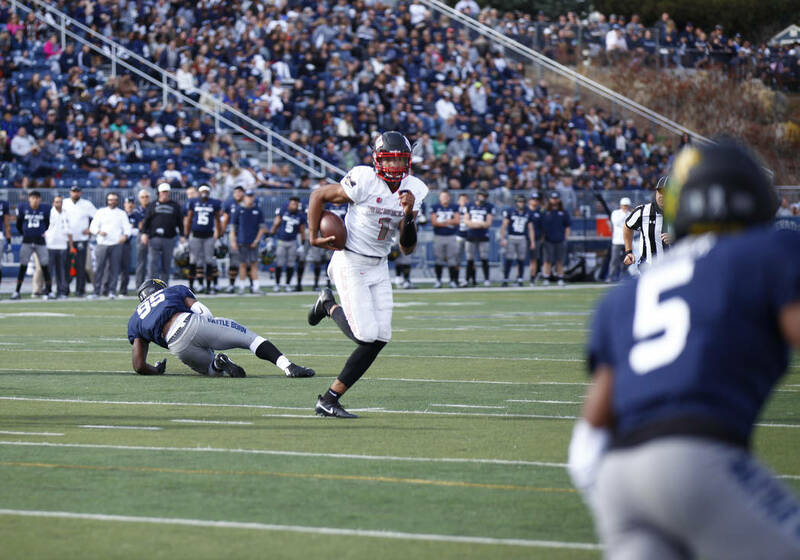 UNR then went 91 yards in 3:48 to tie the score on its way to a 23-16 victory that ended UNLV’s season at 5-7. It’s a memory that drives UNLV as it opens football training camp Friday morning at Rebel Park. Practices are closed to the public. 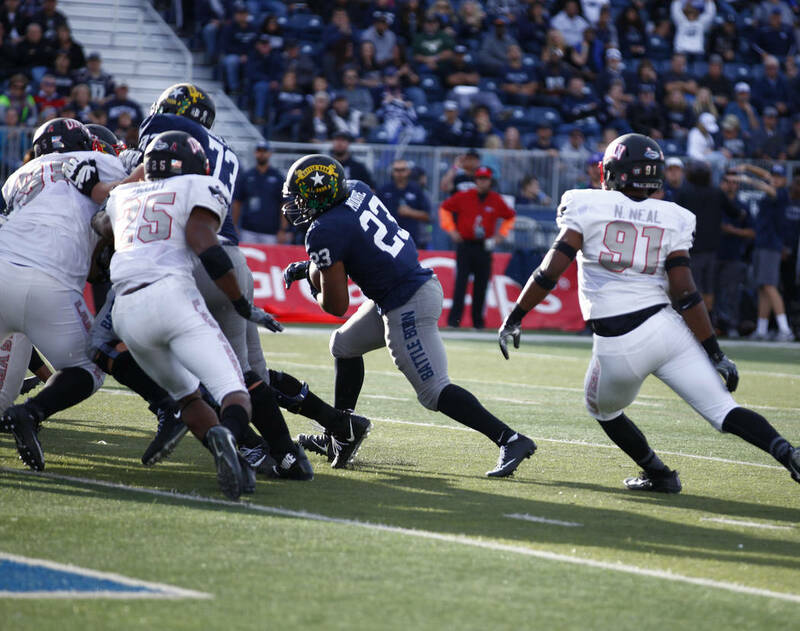 The UNR game last season was an opportunity for UNLV to make up for other missed chances that would have made the Rebels bowl eligible well before the Nov. 25 season finale in Reno. 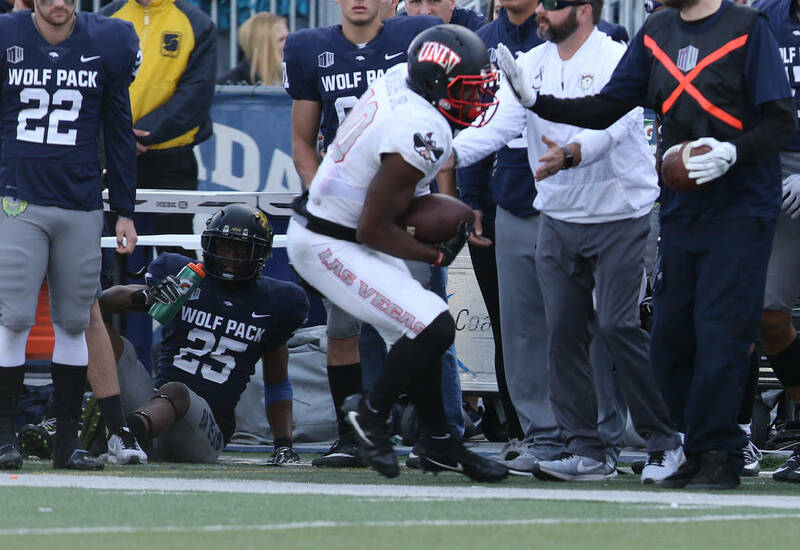 UNLV’s two most blatant missed chances were in the Sept. 2 season opener against Howard at home and the Oct. 14 trip to Air Force. The Rebels should have had an easy night against FCS member Howard. 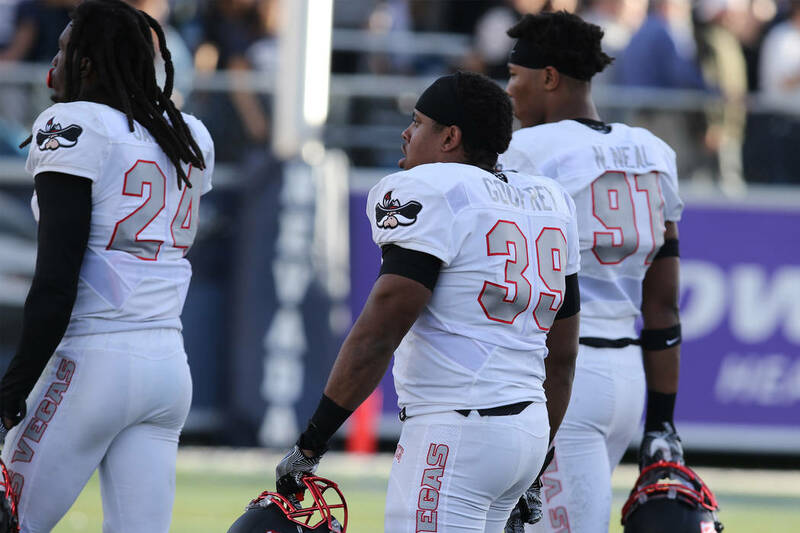 But UNLV committed 13 penalties, lost three fumbles — one was returned 75 yards for a touchdown — and gave up 449 yards in a 43-40 loss. 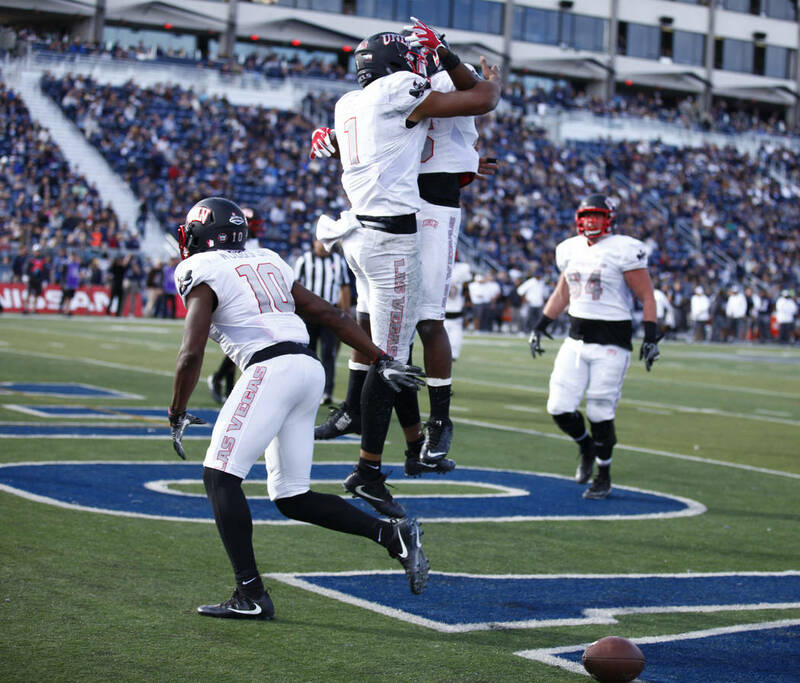 The Rebels were 45-point favorites, believed to be the largest point-spread upset in college football history. 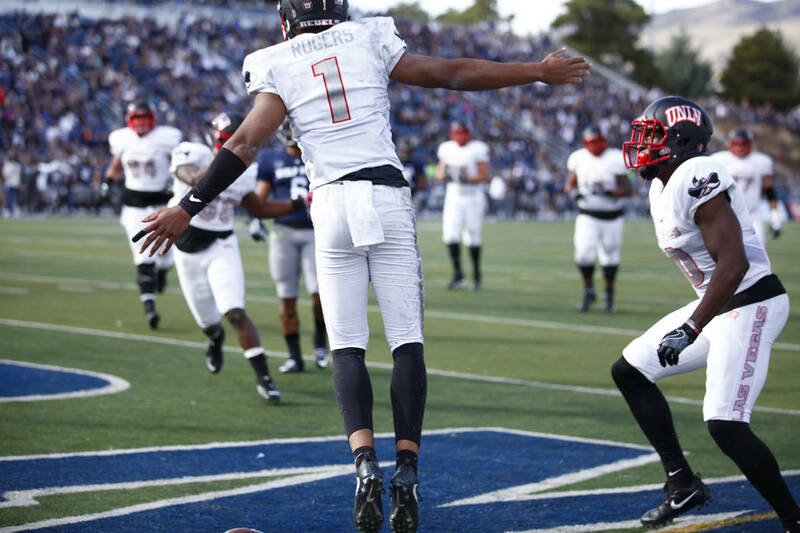 At Air Force, UNLV stormed to a 27-0 first-half lead before giving up a touchdown with 42 seconds left in the half. That gave the Falcons just enough of an opening to mount a comeback in the second half, outscoring the Rebels 27-3 to win 34-30. 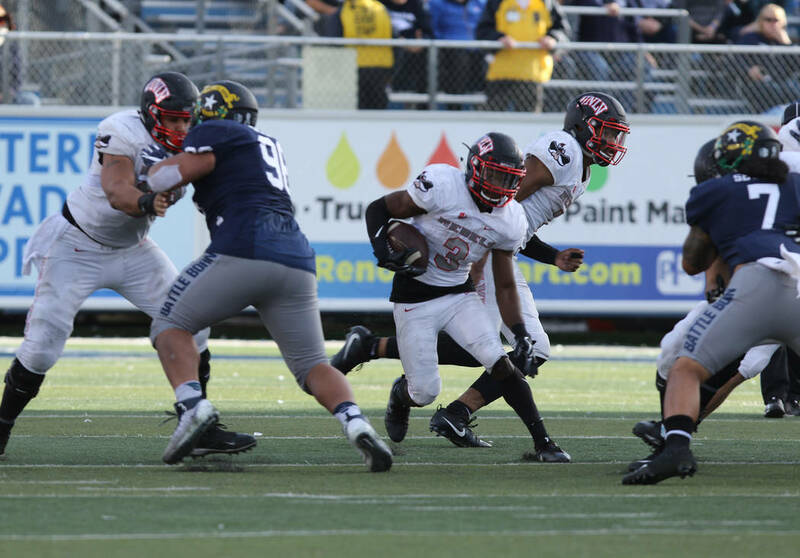 “We were no more than seven plays away from being an eight-win team,” defensive end Jameer Outsey said. “Everything came down to little things — you took a six-inch step wrong this way, and that’s why you got beat like that. The Rebels can’t change the past, but they have control over what happens in the future. 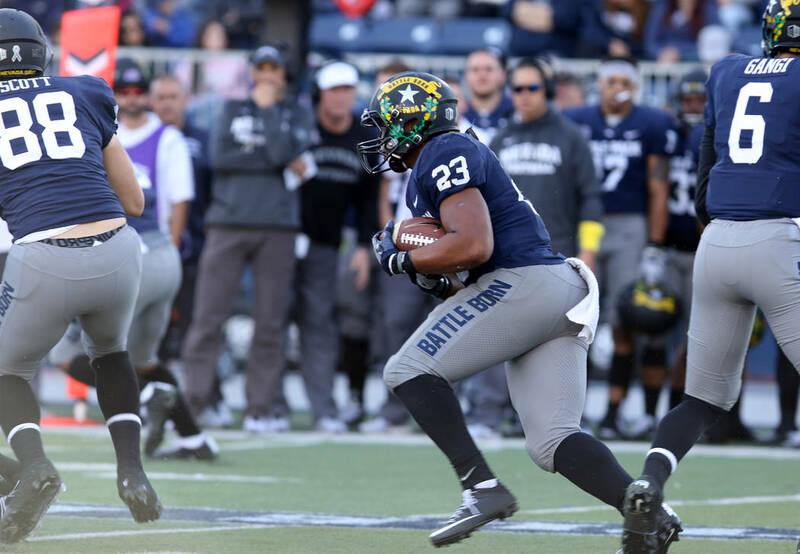 They are 26-point underdogs in the Sept. 1 season opener at Southern California, but after that have enough offensive firepower and what they hope is an improved defense to make a serious run at the program’s first bowl appearance in five years. It’s an important step for Sanchez, who has improved the victory total by one in each of his three prior seasons, but a bowl appearance is the glaring missing piece on his resume. Sanchez knows he doesn’t have to remind his team how close it came last season. “We just go back to work,” he said. “It takes awhile to start to crack and build that culture and sustain it. We’re still getting there, but we’ve got guys that have been there, that have been through the hard times.